My boys are still at the age where they can’t write their own “Thank You” notes. I tried to come up with a fun way to have them participate in sending thank you notes out. That’s when I started making these. 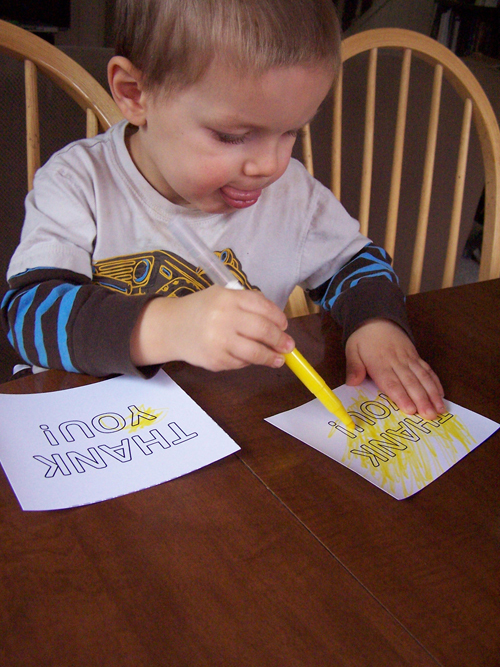 Simply print on white cardstock and let your kiddo go to town coloring them. My 4 year old will carefully color in all the letters, but Sean (2 1/2) just loves to scribble wildly. I then write a thank you note on the back and we send it off. Download the free thank you note printable here! How do you have your kids help with thank you notes? Hi Ellen! It’s Jodi from the blogging class! 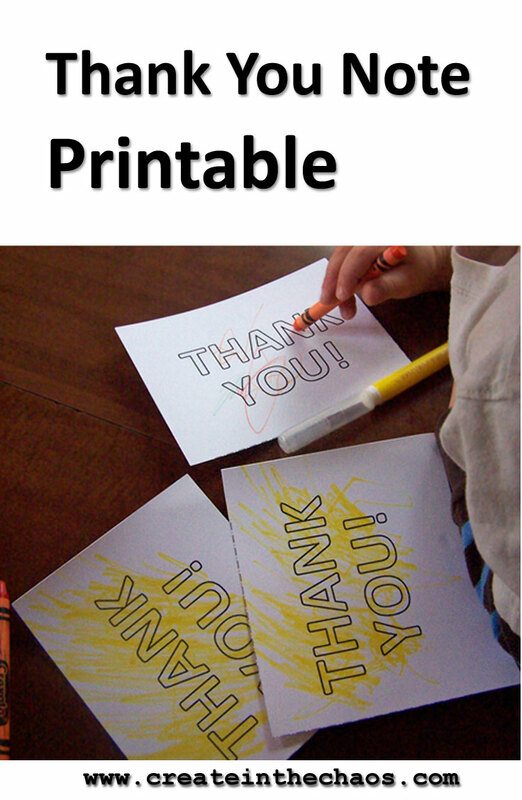 I love this idea about thank you notes! I think even my three year old could enjoy doing this! Great looking blog! ellen, I love this idea!!! It’s so cute and the kiddos get to be creative! What a great thank you note! Thanks! I love to see how differently they color them.